Ukrainian President Petro Poroshenko believes that it is unwise to cancel the ongoing military operation in parts of Donbass before the adoption of the law on the reintegration of these territories, his press service said on Wednesday. How many people must die before he changes his mind? MOSCOW (Sputnik) — Secretary of Ukraine's National Security and Defense Council Oleksandr Turchynov earlier stated that it was necessary to end the military operation and move to a new format of protecting the country from the "hybrid war with Russia." "If we abolish it [the operation in Donbass], and at the same time fail to give the military the right to act adequately in conditions of aggression — we will leave Ukraine defenseless," Poroshenko said, answering the question about the possibility of ending the military operation and introducing martial law, instead. Poroshenko stressed that he had instructed to draft a bill on the reintegration of Donbass, which envisions a number of measures to return these territories under Kiev's control. The Donbass conflict erupted in April 2014 as a local counter-reaction to the West-sponsored Maidan coup in Kiev that had toppled President Viktor Yanukovych in February. Residents of the Donetsk and Lugansk regions held independence referendums and proclaimed the People's Republics of Donetsk and Lugansk. 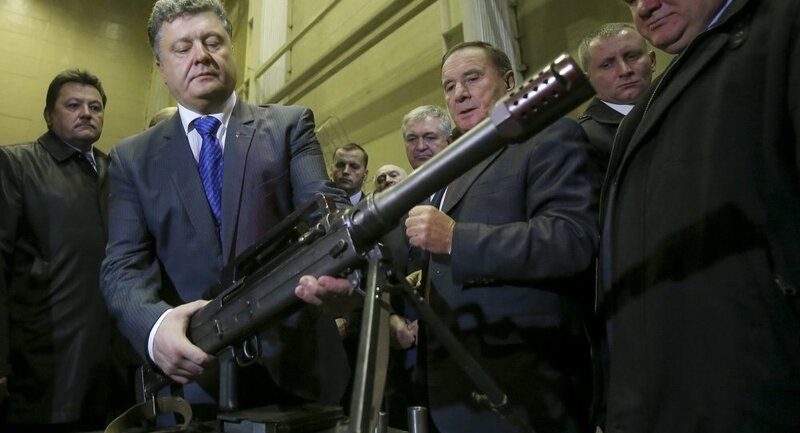 Kiev has since been conducting a military operation, encountering stiff local resistance. In February 2015, Kiev forces and Donbass independence supporters signed a peace agreement in the Belarusian capital of Minsk. The deal stipulates a full ceasefire, weapons withdrawal from the line of contact in Donbass, as well as constitutional reforms that would give a special status to the Donetsk and Lugansk People's Republics. Despite the agreement brokered by the Normandy Four states (Russia, France, Germany and Ukraine), the ceasefire regime is regularly violated, with both sides accusing each other of multiple breaches, undermining the terms of the accord.